Me Yves Lauzon was admitted to the Québec Bar in 1974. He received his Bachelor of Civil Law (LL.B.) from the Université de Montréal in 1972. Me Lauzon has been involved in class action procedure since it came into force in 1979. His experience began as a lawyer for the Quebec Fonds d’aide aux recours collectif and grew as he entered private practice and eventually started his own law firm. He has authored several publications on class actions, and is frequently invited to speak on the subject. Me Lauzon joins TJL as a Senior Counsel (OR Of Counsel) following 15 years of close cooperation with Trudel and Johnston. He chose to continue his career in a different kind of partnership in order to focus on his writings and mentoring the next generation of class action lawyers. Me Lauzon also remains active in various TJL class actions. 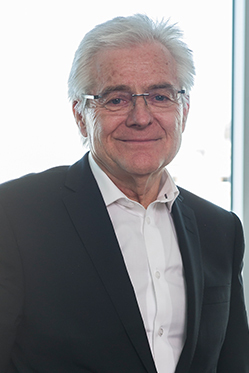 Me Lauzon received the Quebec Bar’s Lawyer Emeritus Distinction and has been listed as one of the Best Lawyers in Canada.